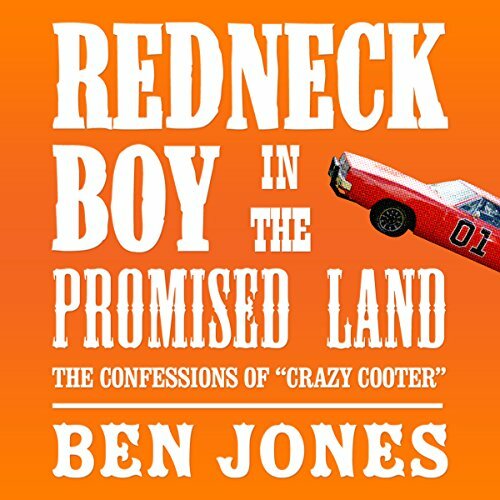 Redneck Boy in the Promised Land is Ben Jones's hilarious, uplifting life story of escaping the rail yards and finding success in the unlikeliest places. As a child, Jones called a dingy railroad shack with no electricity or indoor plumbing home. An unabashed Southern redneck from a "likker drinkin', hell-raisin'" family, Jones grew up in the depressed railroad docks outside of Portsmouth, Virginia, and spent most of his days dreaming about where the tracks out of town could take him. That he would go on to become a beloved television icon on The Dukes of Hazzard and a firebrand two-term Congressman is a story that no one could have ever seen coming . . . least of all ol' "Cooter" himself. Written with naked honesty and wry humor, Redneck Boy in the Promised Land is one good ol' boy's remarkable tale of falling flat on his face, picking himself up, and finding his way to the American dream-while fighting for civil rights, the plight of the working class, "real" Southern culture, and the rights of rednecks everywhere. ©2008 Ben Jones (P)2012 Audible, Inc.
Where does Redneck Boy in the Promised Land: The Confessions of 'Crazy Cooter' rank among all the audiobooks you’ve listened to so far? An interesting story of Crazy Cooter but what really makes it is Scott's reading and acting abilities. Look for Scott's other audibles!